The debate about alcohol availability in Australia is now at fever pitch. 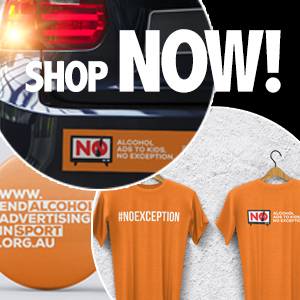 Queensland recently committed to earlier lockouts to reduce alcohol-related violence. 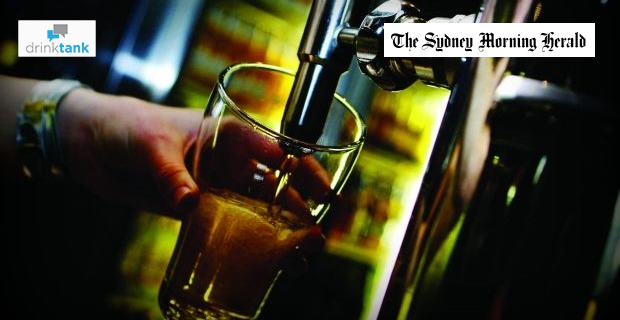 However in New South Wales (NSW), an insidious campaign to overturn the successful early alcohol lockouts in Sydney’s Kings Cross and CBD is growing. This is a shame because the evidence shows that lockouts work. Look at what happened in Newcastle, the sixth biggest city in Australia. It struggled with high levels of alcohol-related violence for many years until, in 2008, the city decided to stop alcohol being sold in a small area of the city after 3am instead of the previous 5am. This modest two-hour reduction in alcohol availability has reduced alcohol-related violence in Newcastle since March 2008 by more than 50 per cent. Newcastle’s nightlife is now much safer, more diverse and more prosperous. The number of smaller bars and licensed restaurants is increasing. According to the NSW Bureau of Crime Statistics and Research (BOCSAR), assaults declined more than 40 per cent in Sydney’s Kings Cross and in Sydney’s CBD by 20 per cent after alcohol availability was slightly restricted in February 2014. Every policy change has winners and losers. Usually the winners don’t say much whereas the losers make a lot of noise. The reduction of alcohol availability has been no exception. Although less violence and greater public safety has benefited many, we haven’t heard much from the people who can now enjoy the freedom to walk around their neighbourhoods in greater safety. But those who are committed to patrons being able to order drinks at 4am or 5am are constantly telling us that the sky has fallen in. The adoption and extension of modest earlier last drinks and one-way door policies has proven and, in my opinion, will continue to prove a win for public, police and patron safety. On one hand the wider community benefits in terms of substantial police and heath-cost savings. On the other there are overall benefits for consumers and for those clubs and pubs no longer dominated by irresponsible booze-barn business models serving unlimited quantities of grog to thirsty patrons until 5am. This multiple win outcome debunks the dominant liquor industry ideology that it’s either business profits or public safety. The Sydney and Newcastle experience of reduced trading hours and availability mirrors that of global cities such as Los Angeles and San Francisco, as well as progressive countries including Norway and the Netherlands. The evidence is clear that effective and modest earlier last drinks measures and a safer and vibrant nightlife with plenty of jobs can comfortably coexist. The evidence is that, in these cities, young people quickly adjusted to smarter venues and to earlier last drinks. Throughout Australia the success of critical public safety laws such as compulsory seat belts, speed limits in school zones and drink-driving blood levels depended in part upon political statesmanship to retain them and their uniform and consistent national application. All Sydneysiders and Novocastrians ought to support besieged Liberal Premier Mike Baird’s defence of sensible and proven alcohol-harm prevention measures based on homegrown conditions. Sadly, some of the attacks on lockout laws are coming from within Coalition ranks. The balance of reliable evidence clearly indicates that extended late-night trading hours lead to exponentially increased consumption and alcohol-related harms, including brain injuries and sexual and physical assaults, while lockout laws have proven positive effects. Those of us concerned about public safety must defeat, by reliance upon this evidence, the barbarian barrage of highly rhetorical nonsense coming from those guided by self-interest and greed seeking to return the streets of Sydney and Newcastle back to drunken blood baths where drinks were dear and life was cheap. Surely public, patron and police safety in NSW and throughout Australia must be placed above petty politics and the vast profits of the liquor industry. Moreover if the brewers and distillers, along with the hospitality industry, want to argue cost versus benefits, then the very least they must do is tell us that they will pay all of the costs for the police, ambulance and hospital services that come from extended opening hours. They can sort out between themselves how they divvy up the multibillion-dollar bill. Until they do so it is truly outrageous that the politically powerful liquor industry want us to pay, not only in blood, sweat and tears, but with our taxpayer dollars too.